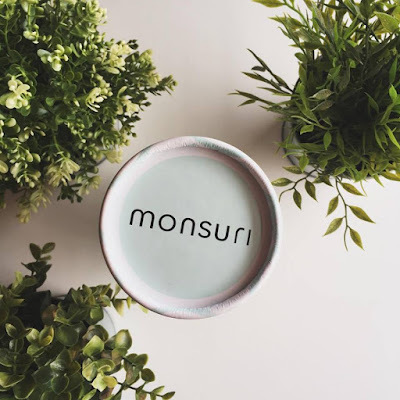 Make It With Monsuri... - Sleek For Yourself! Make It With Monsuri... | Sleek For Yourself! I'm doing something a little different this week. I was contacted by a small family run business called Monsuri. Monsuri offer a unique and stylish tea and fruit infuser bottle with a beautiful bamboo lid that enables you to make your own flavoured water! It's basically a fun way to keep hydrated! 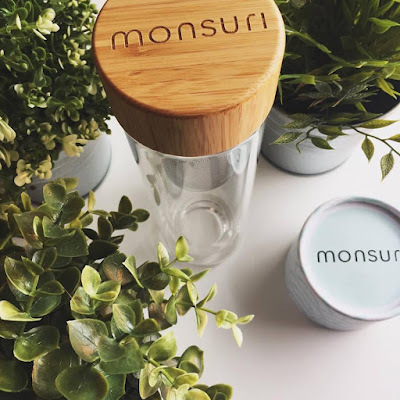 I do already have a bottle which I can infuse water in and infuse teas and coffees but it's metal so it scalds my hand when it's too hot, you can't see inside it because it's dark blue and not glass like the Monsuri one, it definitely doesn't have a beautiful bamboo lid and there isn't enough space for a lot of fruit so I thought 'go on then, why not!'. I always like to give smaller companies promotion as you have probably noticed because it's usually the smaller companies with the most passion and as with any project in life, you need a little help starting out. I love when these companies are so passionate about their product and also I find their customers are more valued. I was happy to help! 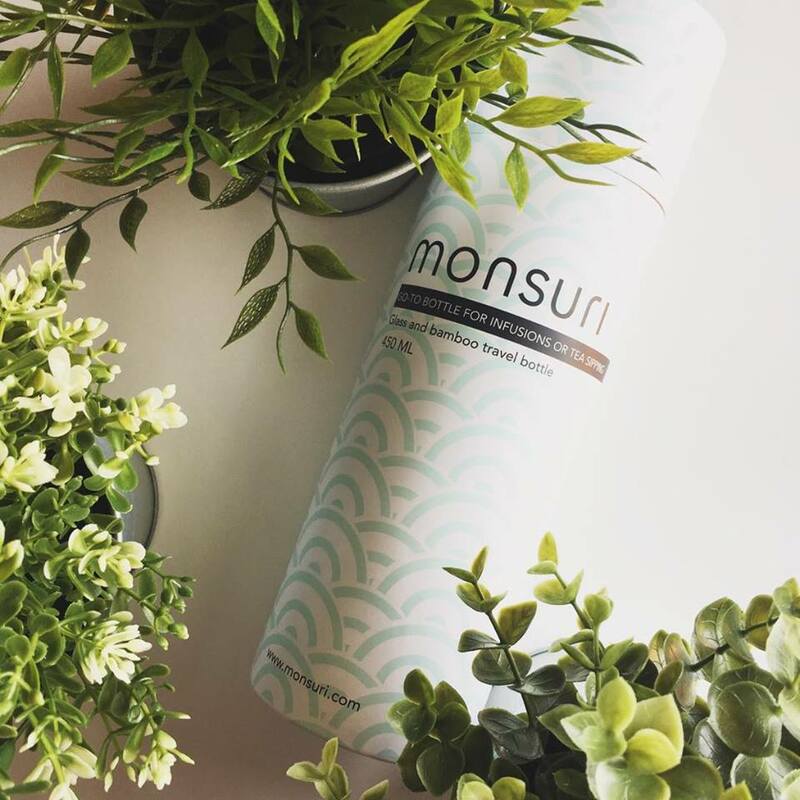 I was speaking to a gentleman named Navin and he very kindly offered to send me one of the Monsuri bottles to try out and review. 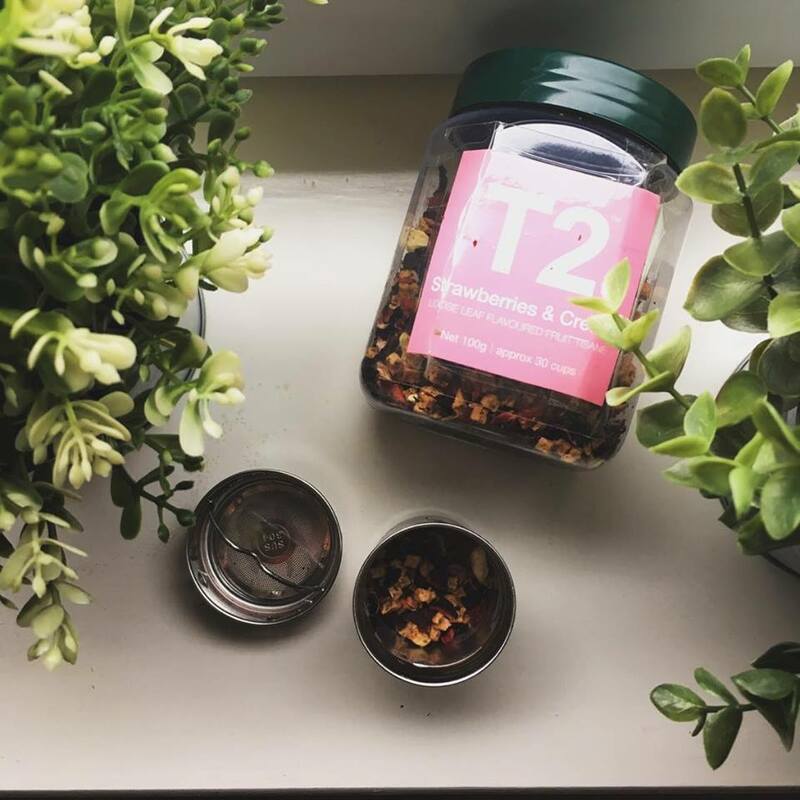 He also supplied me with my own discount code 'STACIE20' for all you lovely people so if you do like the look of the product, you can enjoy it at a cheaper price! Wheyyy! When it arrived it was in such secure packaging. This makes me happy because there is nothing worse than when you buy a fragile product and the company give it one flimsy sheet of bubblewrap and send it on it's way to the post office where they certainly don't handle the parcels with care and then your item arrives broken and nobody wants to take the blame. Nope, Monsuri really made sure my item would arrive in perfect condition. It arrived in a nice big box, wrapped in a ton of bubblewrap and the bottle itself was packaged in a beautiful blue box as you can see in the photo. I think this is very snazzy packaging and I think this makes you more likely to give it as a gift to someone. One of the first things I noticed was how heavy the box was. I opened the blue container to find my bottle was bigger than I thought it was going to be. That's not a bad thing. It means more drinks! There is no point going through all the effort to infuse a drink for one measly cup of water. I really think this looks much more expensive than it is. Flasks and water bottles are not cheap. Even in supermarkets like Asda. If you're looking for a large flask which is of great quality from a trusted brand, you're looking at paying £30. To some that sounds very pricey but it's something that you will only ever have to buy once in your life. You won't need to replace it. It's a staple item. You just look after it and wash it correctly. You can use it any time of year, any weather and it's always handy for days out and even to take to work. The Monsuri bottles retail at £24.95 meaning with my discount code 'STACIE20' it's under £20 which for such a high quality bottle, I think is a very good price. It even comes with a sleeve for hot drinks which you wouldn't get with any other ones unless you bought it separately. I just had a sudden realisation that I'm officially a grown-up. Mid 20's this year and currently blogging about the importance of a good quality water bottle. :') But seriously...every household needs one and you will come to find that when you're older and have your own place. You mark my words. I'm rambling. Where was I? The lid is so nice. 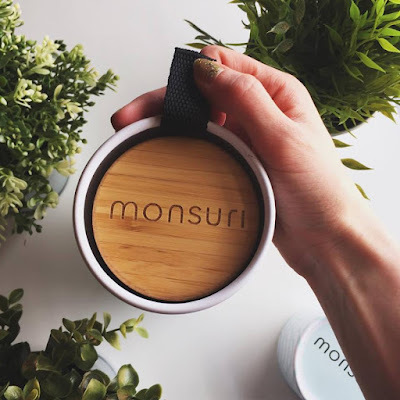 It's has Monsuri engraved into it and it's bamboo. It's not just there to look pretty either. The bamboo lid also helps retain the drink temperature perfectly which was interesting to find out. You should only rinse the lid though, no dishwashers or you could ruin the wood. The glass itself is Borosilicate glass which is a double-walled light and heat resistant glass. This makes your hot drinks stay hot for longer and this part is dishwasher safe. 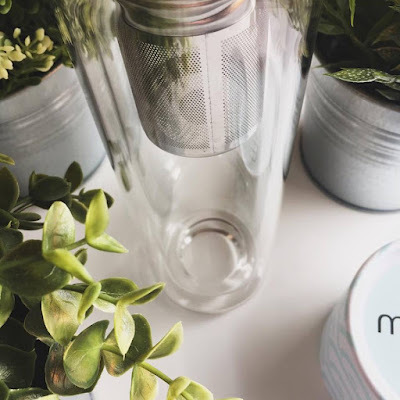 In the top of the bottle is a stainless steel infuser where you can put loose leaf teas and infuse your own tea and likewise with coffees. Last but not least it comes with the complimentary black sleeve that I mentioned. This allows an easy and comfortable grip. 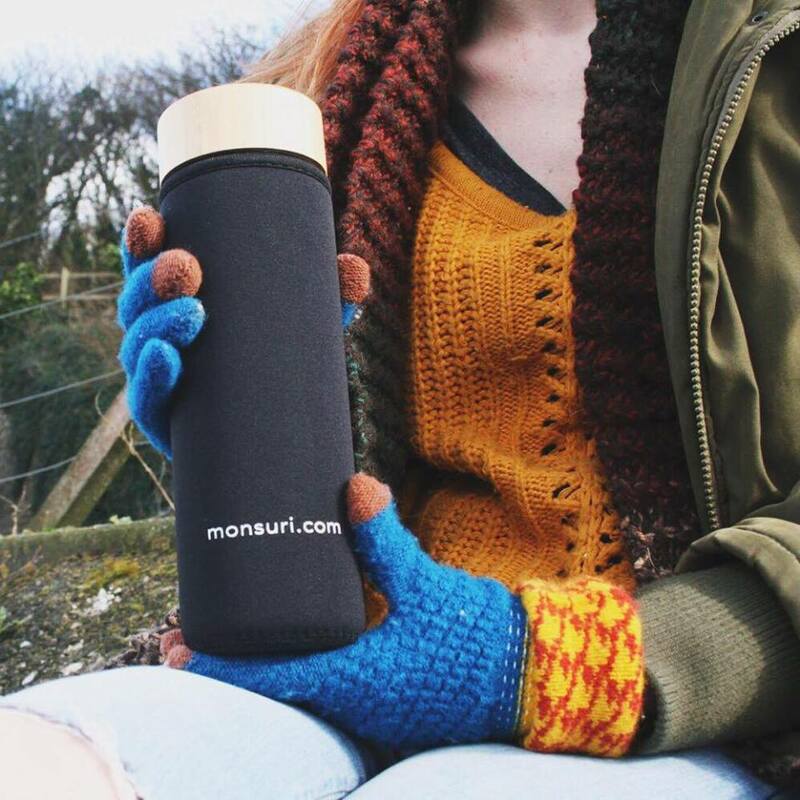 It stops hot drinks from being too hot against your hand. It also has a little holding strap to carry it with. The whole bottle was made very eco-friendly. It is also BPA and plastic free. 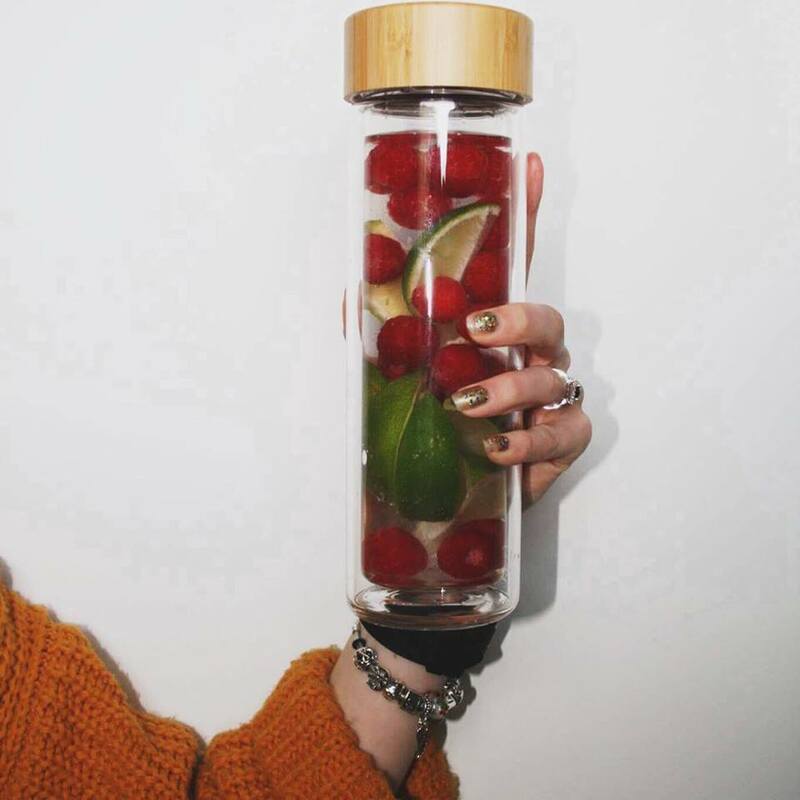 The thing I was most looking forward to was making my own fruit-infused water. I am TERRIBLE at having my recommended daily amount of water. I never drink enough. I'm always dehydrated. No wonder I have bad skin. So this was like an incentive to drink more. It was like a little project for me. Trying out a variety of recipes and having fun with it too. 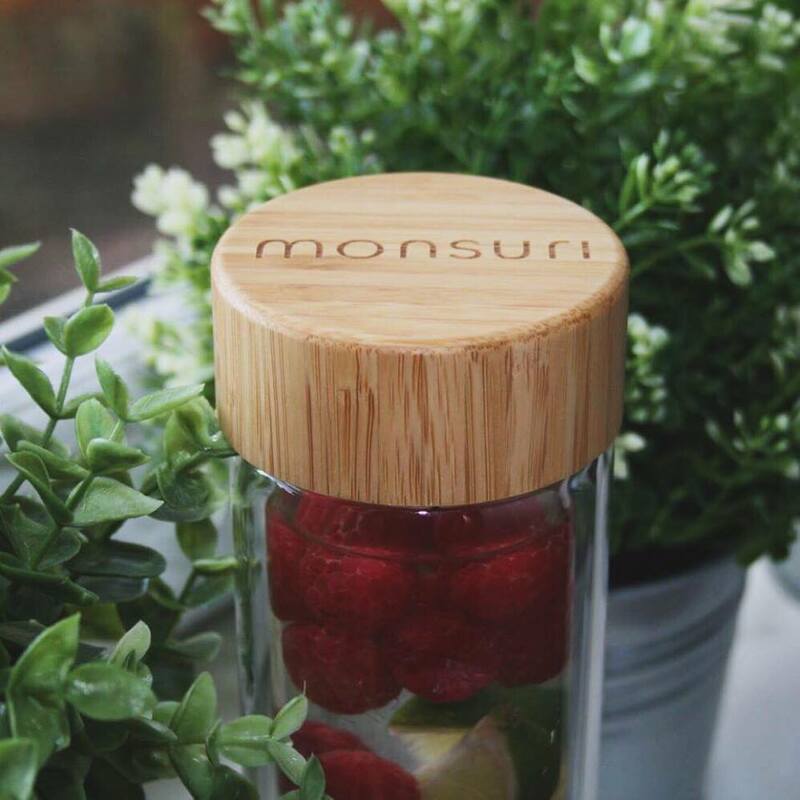 With the Monsuri bottle, you really can get creative! Do any of you drink enough water? Because I can guarantee a good 90% of you don't. 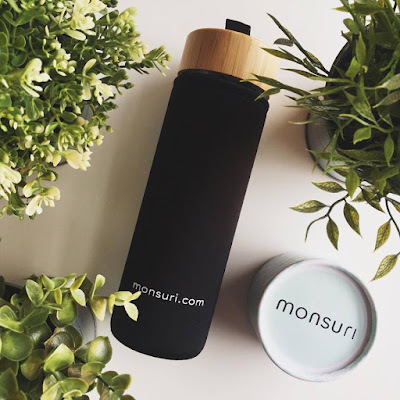 This really did encourage me to drink more water and I think if you are trying to as well it might be worth considering investing in one? This isn't me trying to make sales, it's not a paid collaboration, I'm not making any money from this. The discount code is purely to monitor if blogger collaborations do help the company. A little experiment. 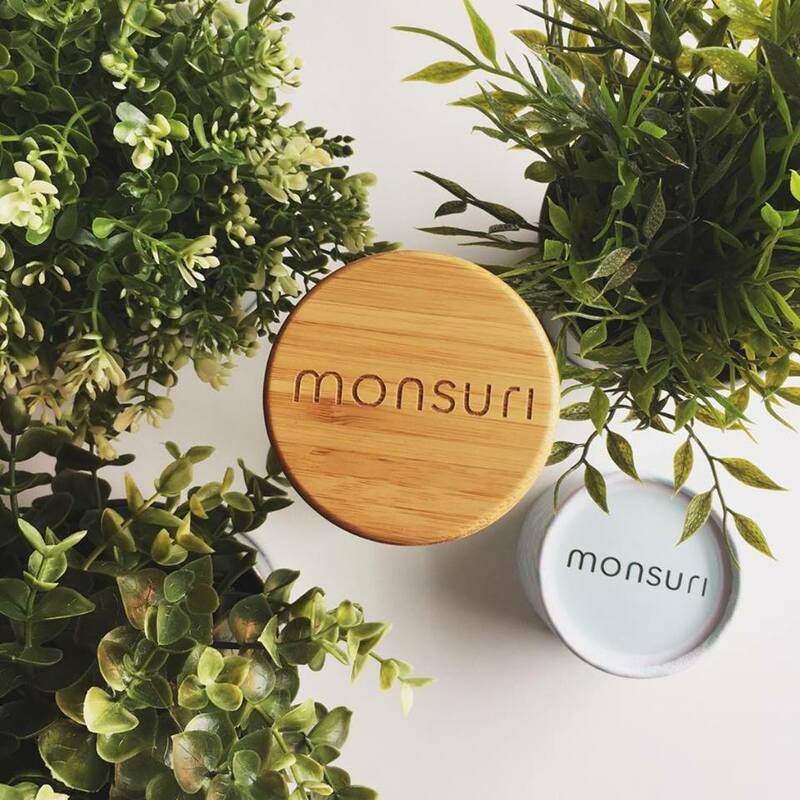 I just want to help where I can and give some friendly advice to you guys on a great product I've discovered. So what recipes did I try? I tried two flavour infused waters and also a fruit tea. My first recipe was raspberry and lime. It was so simple to make! You simply chuck some raspberries and lime wedges into the bottle. You then fill the bottle with water and put it in the fridge. That's it. I don't know if this would work just doing it a bowl or something because it's the confined space and material of the bottle that helps. I've tried infusing lemon water before and it went all cloudy and horrible so I was curious to see how this would turn out. I figured leaving it for an hour or so wouldn't be long enough to get the full flavour so I left it for around 4 hours and both Elliot and I were shocked at how well it worked. I guess we just figured it would be water with a slight hint of flavour. The liquid had turned a very light pink so it looked pretty but quite weak. It was so full of flavour! The lime especially. It was a little bit sour so I would probably reduce the amount of lime next time or not infuse it as long. It really didn't take long to infuse. It had the texture of water but the flavour of a juice. I was really impressed. 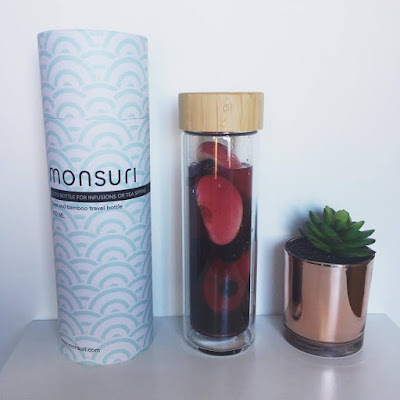 If you don't like drinking water because of the non-existent flavour, this is a great way to get your healthy recommended hydration but feel as though it's a treat and not a chore. You don't need a lot of fruit at all, you might be thinking it's going to work out more expensive buying all the fruit but it's not, you can buy fruit and freeze and it will last an extremely long time. You then only chuck in a few bits of fruit, the stronger you want the taste, the longer you leave it. 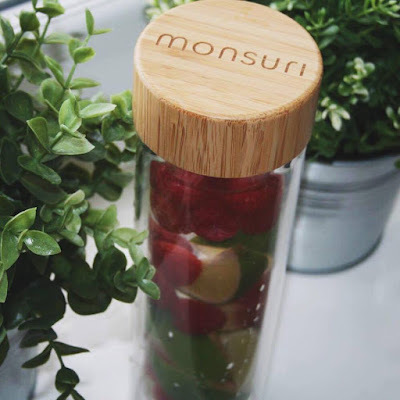 Fruit is cheap anyway and the bottle holds around 4 small drinks? You would probably have to pay quadruple the amount if you were to buy a Volvic strawberry flavoured water and you only get 1 small bottle of water from that and its full of sugar. At least with this you know exactly what is going in to the drink. No hidden nasties, you've done it all yourself. The next recipe I tried was apple and blueberry. Blueberry is my favourite fruit so I was looking forward to this one. Again really simple to prep. 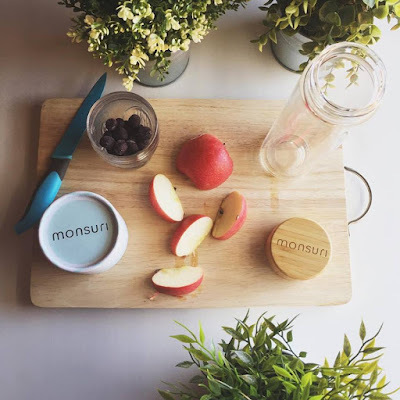 Throw in a small handful of blueberries, half an apple, fill the bottle with water. The water immediately turned red. I liked the strong flavour of the last drink and because I know I like the taste of blueberries I let this one infuse for a little longer and it was bloody lovely. I really enjoyed it. One thing I don't like about fruit flavoured products are that they don't taste like the fruit. It's all artificial flavours. They taste nothing like it but this obviously just tasted of real blueberries and not sugar. It was sweet because of the naturally occurring sugars but they are good for you. This was my favourite recipe of the two. I really wanted to make strawberry water, maybe a berry mix with some cherries but there were no strawberries when I went shopping. I do plan on making plenty more recipes. I've been jotting down ideas. I bought some mango chunks to try out but I wanted to get this review done as soon as possible as I'm very busy with collaborations at the moment and also overtime at my other job too. I'm struggling to cope so although I would have liked to have featured more recipes in this post, it's something I might have to make time for in the future. I'm sure you'll see plenty of healthy recipes on my Instagram throughout the year, especially in summer. So yes. It infuses water extremely well. Better than Elliot and I thought it would. We were very pleasantly surprised. Next up...a hot drink. I wanted to test this out as best I could to give you all an honest review on every aspect of it. I am quite the tea enthusiast. It's something I'm proud of and I make guests very aware of our selection of teas when they come to visit so I was stuck for choice on which one to try out. I opted for strawberries and cream. If I couldn't make strawberry water then tea would have to be the next best thing. I used the T2 Strawberries & Cream loose leaf tea. Again so so so simple. 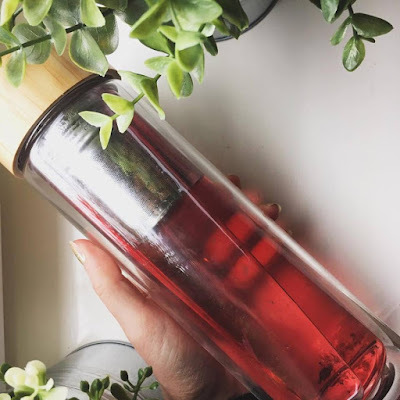 I put the recommended amount into the steel infuser section and then filled the bottle with boiling hot water and left it on the side for 3 minutes to infuse which it did very quickly,. I then poured some into my mug and because the infuser is also a filter, I managed to pour my tea without lots of tea leaves in it. I previously used an infuser that you just hang over the cup which was good but then also kind of inconvenient because I find it just floats on top of the water? And then gets messy all over the side if you don't wash it up immediately. With the bottle you can just leave it there. I then left the rest in the bottle which didn't get too hot by the way. 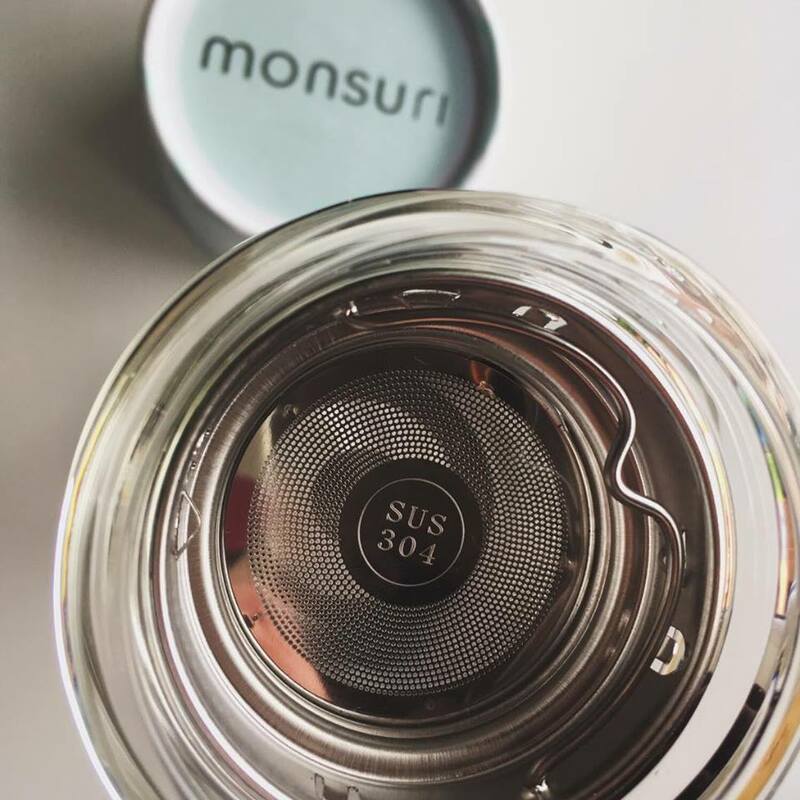 Because it is double walled, it's very hard for the outer glass wall to get hot enough to burn which is a great idea for a hot flask. I'm surprised more companies don't think to do that. Good one Monsuri. I put my sleeve on it anyway. It was a very cold day but also sunny and refreshing so Elliot and I sat outside by the water in our cosy winter coats and read books. My tea stayed hot and I really don't have anything negative to say about it. It was easy enough to drink from as well. I don't think it was designed to be a drinking bottle but I had no trouble with it and enjoyed my drink. It was all very hygge. If you don't know what hygge is click here to find out. 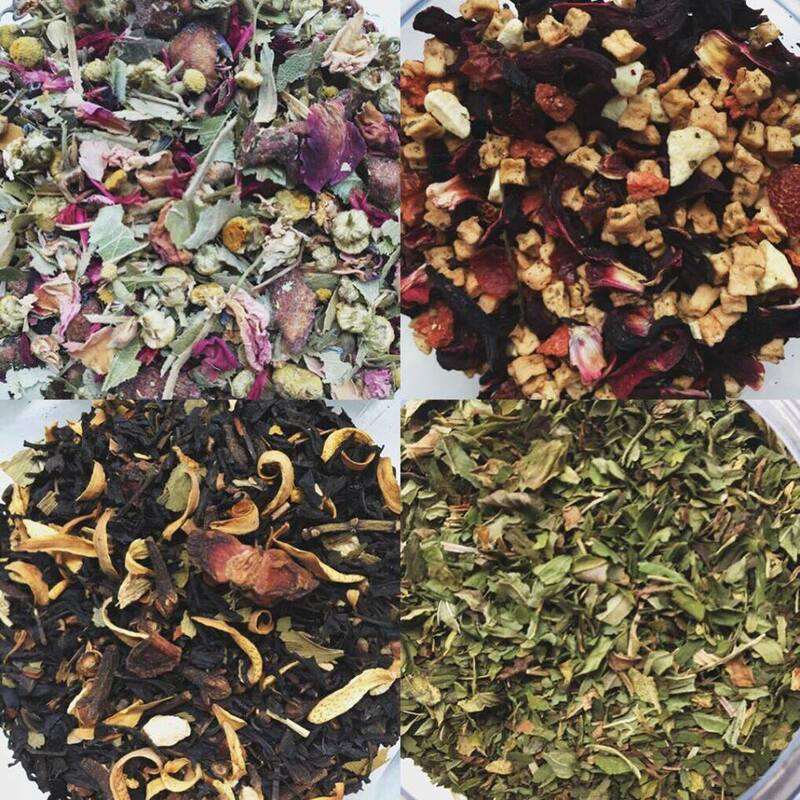 You could also make iced tea with this if you put iced water in instead of boiling and that would make a very nice alternative! 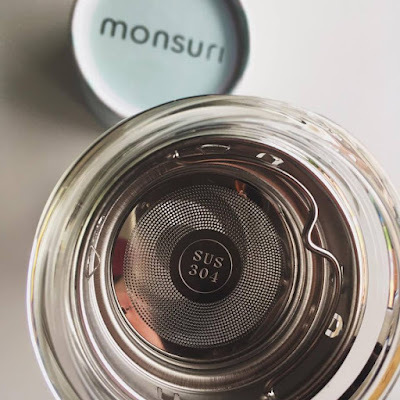 One thing I found with my previous infuser bottle was that when I had flavoured teas and coffees the scent never went away and contaminated the flavour of the next drink and no matter how much we washed it, the chai latte taste was there to stay. 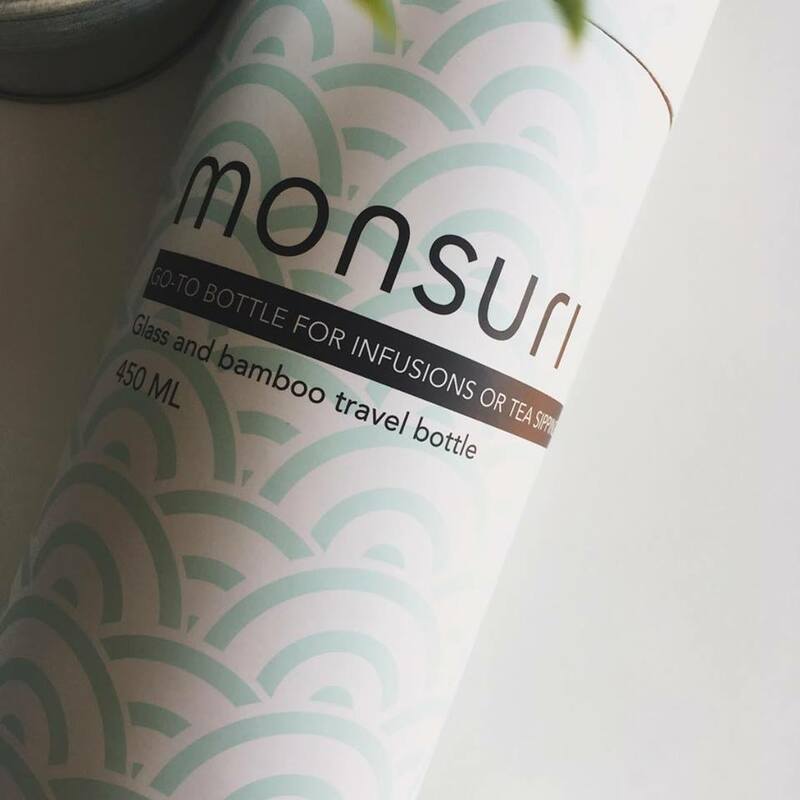 I washed my Monsuri bottle and it's fine. Ready to be used for a new drink which gives me hope that this is much longer lasting. I'm really really happy with it. I'm not sure what else to say about it other than it really is a great staple item for your kitchen cupboard. I can think of endless situations where this could be used. Parties, picnics, cold days, hot days, work, long journeys, the gym. There really are so many ways you can use it and the recipe possibilities are endless. You can literally put whatever you want in there. Get creative with it! I'm literally going to recommend this to everyone. Next time someone I know moves into their first home, I'm buying this as a happy new home gift because I just think everyone needs one. Even if it's just an incentive to drink more. Thank you so much Monsuri for sending me the bottle. I was thoroughly impressed with it. I hope you manage to achieve any goals you have and I hope the business grows in the way it deserves. If I could give any suggestions to help, I would maybe suggest putting a little booklet with some recipe ideas in the parcel perhaps? I think that would be a nice little added touch to consider in the future? If any of you are interested in buying the bottle don't forget to use my discount code 'STACIE20' at www.monsuri.com which will make it even cheaper. Also give them a follow on social media where you can keep track of their progress and see any recipes that you might not have thought of. Their Instagram feed is goals. The photos are beautiful and professional! Much better than anything I could come up with! Disclaimer: I was sent this item free of charge in exchange for a review. All words, pictures and opinions in this blogpost are my own and my 100% honest opinion.